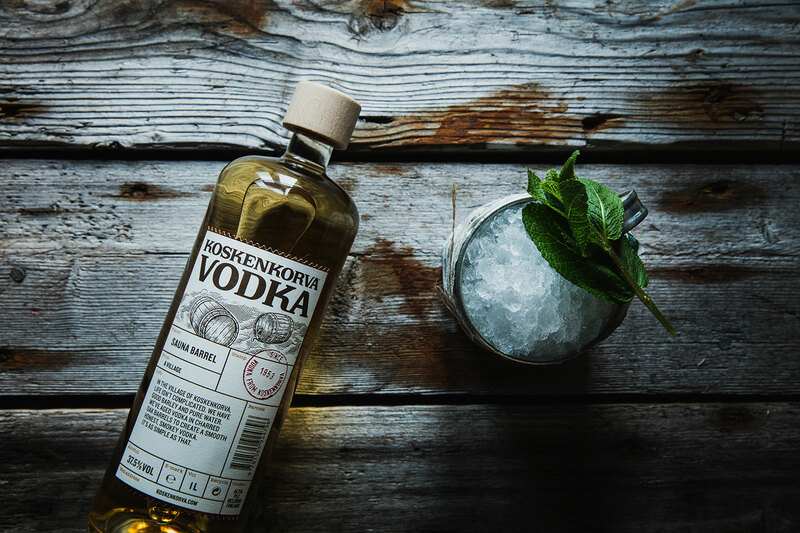 The classic and award-winning Finnish vodka Koskenkorva, owned and produced by Altia, was seeking a new identity. Grow got the assignment to produce a new bottle, labels, and to create a concept around the product that sets the tone for the entire brand experience. 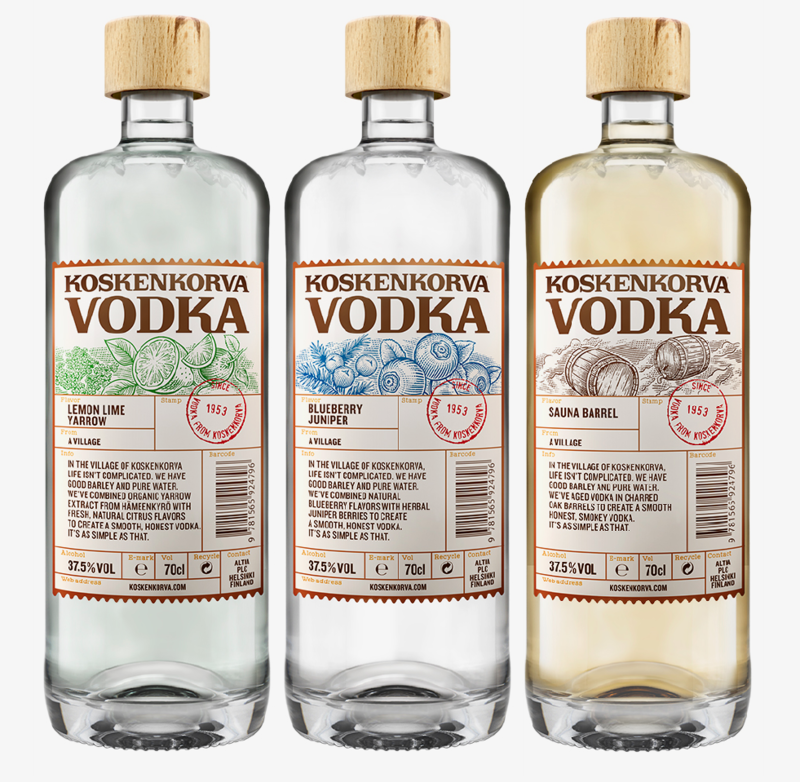 Koskenkorva has a unique and consumer appealing origin. 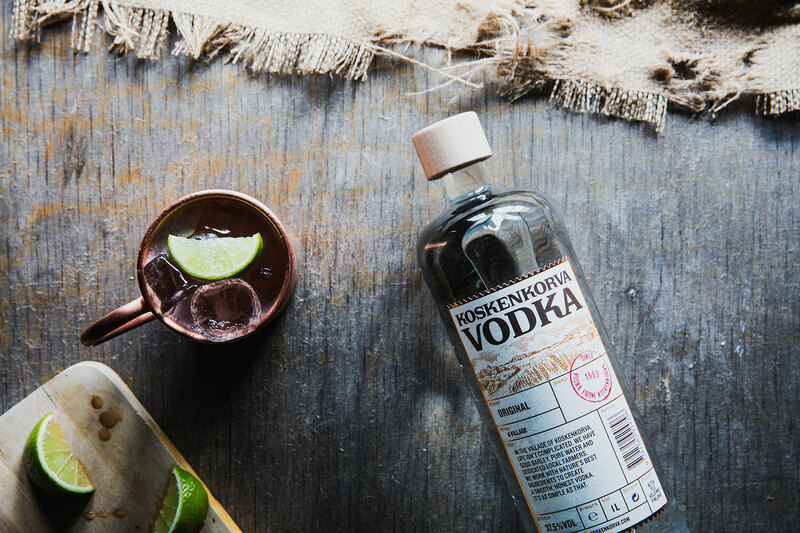 It’s the only vodka known globally named after the village in southwest Finland where it has been produced since the brand was established in 1953. 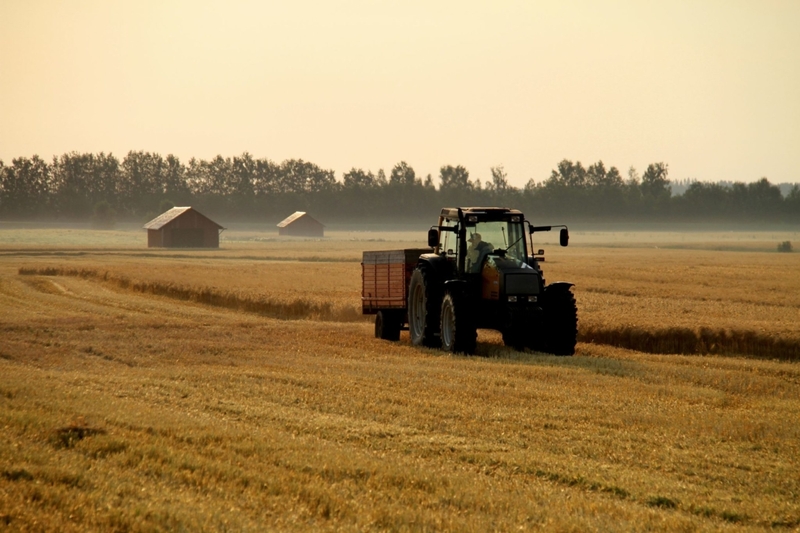 The barley is grown by local farmers and the local source water used in the manufacturing process is so clean that it does not need to be filtered. The result of the design work was a simple, genuine and vintage inspired bottle with clear inspiration from the village. 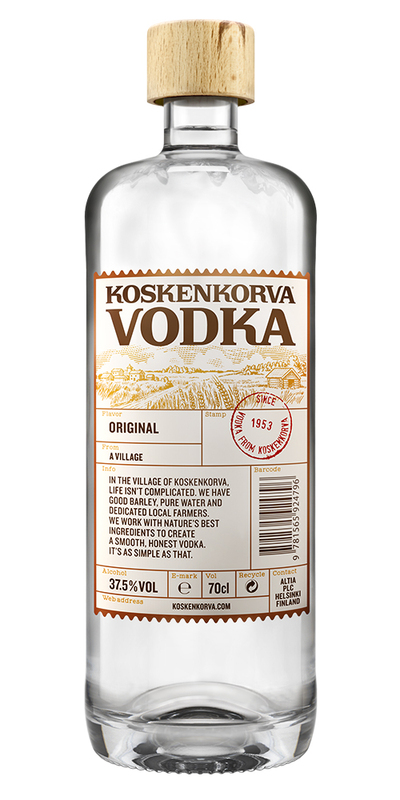 The labels show the grain fields that have become influential for communication since Koskenkorva’s beginning. The bottle has a stopper made of wood and the inside of the glass is shaped with irregular waves to create a sense of craftsmanship. says Kirsi Puntila, Marketing and Spirits Category Director at Altia. 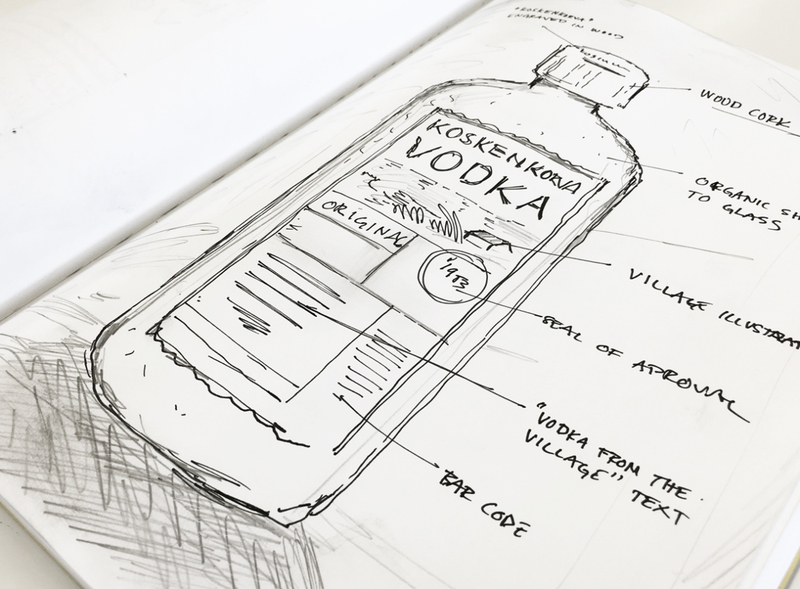 The result of the design work was a simple, genuine and vintage inspired bottle with clear inspiration from the village.